The story of the humble beginnings of Arlington’s rural schools in 1882 to the advent of the modern era. Despite the struggles to survive in an unforgiving wilderness, early settlers sacrificed to build the first schools and fulfill dreams of a better education for their children. Discover the mysteries of Arlington’s 44 rural schools, woven with local history and old-time stories. Enjoy numerous maps and over 150 photographs with many pictures of school children. View a 40+-page, easy-to-use index, cross-referenced with over 5,000 names. Perhaps you will find your ancestors in this unique book about Arlington’s early rural schools. 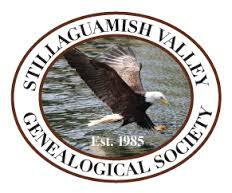 Cost $30.00 Now available on the Stillaguamish Valley Genealogical Society, www.stillygen.org/store and at the upcoming N.W. Genealogy Conference in Arlington. 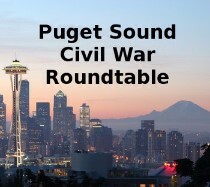 The Puget Sound Civil War Roundtable will sponsor a distinctly different event Thursday, September 21st at 6:30 p.m. at the Bellevue Library (1111 110th Avenue NE, Bellevue (425) 450-1765). The presenter will be author, Joanne Rajoppi who will be discussing her book, Northern Women in the Aftermath of the Civil War: The Wives and Daughters of the Brunswick Boys. Some of the characters Ms. Rajoppi’s will talk about have very strong ties to Washington and the Pacific Northwest. This will be the first in a series of lectures called Behind the Lines that is concerned with how 19th century women struggled to survive as their men returned broken, weary and depressed. Its a tribute to their fortitude for continuing to raise their children, work their farms and keep their families together in the face of death and uncertainty. Click on FLYER to review the material prepared by the King County Library System. If you have any questions, please contact the Bellevue Library or Mike Movius, President of the Puget Sound Civil War Roundtable. Copyright © 2016 Puget Sound Civil War Roundtable, All rights reserved. You are receiving this email because you are either a member or friend of PSCWRT. Related to a Minnesota Medal of Honor Recipient? The Anoka (Minnesota) Chapter National Society Daughters of the American Revolution is publishing a book with biographies of 72 Minnesota Medal of Honor Recipients. The book includes the biography of three veterans with ties to Washington State. Jesse T. Barrick was awarded the Medal of Honor for his actions during the Civil War. Barrick settled in Suquamish, Kitsap County in 1909 and died in Pasco, Franklin County in 1923. Barrick is buried in Tahoma National Cemetery in Kent, Washington. Raymond Erwin Davis joined the U.S. Navy in Puget Sound, Washington. He was awarded a Peace Time Medal of Honor for heroic efforts to rescue comrades when a boiler exploded on the U.S.S. Bennington in San Diego in 1905. He died in Port Orchard, Kitsap County and is buried in Calvary Cemetery, Seattle, King County. Leo Thorsness was a Washington State Senator in 1988. Thorsness was a prisoner of war and the only Medal of Honor recipient credited with an aerial victory in the Vietnam War. Colonel Thorsness is one of a few living Medal of Honor recipients. Copyright laws are confusing to most of us. It makes sense that you can’t copy pages from a book or article to share with your research buddies, copy and paste an online article or post photos to Facebook or your blog. But did you know copyright law also applies to your old family photos, family stories your cousin writes, newspaper articles you share, books you use at the library, online articles you come across, lectures you listen to at conferences, and more? After a short email asking Family Tree Magazine editor Diane Haddad if we could share Sharon DeBartolo Carmack’s informative article “Copyright for Genealogist” (FamilyTreeMagazine blog, 12 Aug 2016), here it is. It’s definitely worth the read. The 243 page spiral bound book with laminated covers compiled by Mary Bybee Simonsen in cooperation with WCGS, contains 194 pages of gleanings, plus an index of over 5,000 different names. There were many newspapers in Whitman County from 1877-1886, but most gleanings were extracted from the Palouse Gazette, the Washington Democrat (both Colfax, W.T. newspapers), and the Palouse News (a Palouse City, W.T. newspaper), plus a few other area newspapers. The extractions were done from microfilm at Washington State University Holland Library in Pullman, WA. Every readable issue of these newspapers during this time period was reviewed for possible gleanings. Most gleanings are from records, such as births, marriages, divorces, deaths, and land records, plus other interesting items related to the area. Some articles, especially land records, were too faint to read, so the gleaning was edited. Full articles may be read at a facility having these microfilmed newspapers. A sample page from the book is printed with this flyer. After Sept. 30, 2016 each book will sell for $25. The book is also available in pdf format on a CD for $15 (no discount price). All prices include tax & shipping. (Orders will be mailed in October 2016). 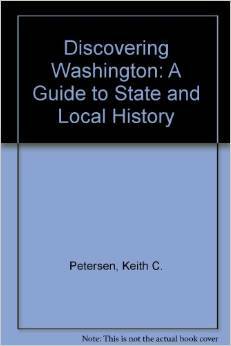 This book tells the story of the settlers to the area in Washington south of Tacoma, the founding of the town of Steilacom, and the trials and hardships they endured to get there. It was in the fall of 1853 at a meeting in Olympia with Governor Isaac Stevens that the immigrants got the answer to one of their plaguing questions: “As for the Indian title (to the land) it must be extinguished throughout the length and breadth of this territory. In my judgment under the Donation Law the settler can locate his claim west of the Cascade Mountains.” And so they came. Jenny and Julius and their wagon train were stalled in Northwest Oregon debating how best to proceed to their goal, the Willamette Valley of Washington. The leaders held council: they could float down the Columbia River to Fort Vancouver and then overland to the north. Or they could go in a more direct northwesterly direction which would take them along the Yakima River and then up and over the Naches Pass. The wagon master had been told that a road had been built for that route and that it was passable for oxen and wagons. He was misinformed. This “road” turned out to be a myth and the wagons struggled for weeks crawling along the rivers, down cliffs and over Mud Mountain (aptly named). With the rich and timbered lands at the foot of Puget Sound as their goal, the continued on despite been harassed by the Indians and having to chop clear every mile of the way. Jenny’s only shoes wore out and her dress rotted at the hem. They did finally make it to Steilacom. Page 221 described how Jenny and Julius measured off their claim by carrying 66-foot chains over and over and over through the dense and dripping undergrowth that is the country in Pierce County. And Jenny in her long skirt! Upon their arrival in 1853, the story details how these hardy pioneers became embroiled in the conflict between the U.S. government and the Hudson’s Bay Company over who rightly owned the land. The local Nisquallys, believing the land was theirs, also acted against the settlers. Jenny, now with a young son, lost her Julius and watched her cabin go up in flames but held onto her 160 acres of land no matter what befell. Finally in 1864 most disputes were settled but it took until 1869 for the fighting factors to pull out of the area. The novel continues with the story: it was in late 1866 that Jenny and her new husband went to the Pierce County courthouse in Steilacom to testify for final ownership of her land. In the story, Jenny finally receives the patent for her land signed by U.S. Grant, President of the United States, and dated February 1875. The inside cover of this hardbound book shows a map of their travels. How they came from the Midwest through southern Idaho over Emigrant Hill (near Baker, Oregon) and then cut up to re-supply at Fort Walla Walla. They then went west of Pasco and northwest along Selah Creek and Wenas Creek to the 4988’ Naches Pass. Finally over, they followed the White River, crossing south of Lake Tapps to the area around Fort Steilacom between what would become Tacoma and Olympia. This book was a wonderful read and made me so glad I was not placed by God on earth in the 1850s to be an Oregon Trail pioneer! ** As of February, 2015, this book was available via Amazon for about $10.00. Browsing recently in a book titled, Discovering Washington: A Guide to State and Local History, by Petersen & Reed, 1989. “History is everywhere. It is in the landscape; those who understand geography and know how to interpret land forms can discover much about a region’s past without ever opening a book. History is also found in the type of fence that a farmer built and the kinds of outbuildings he constructed. It is hidden in the architectural style of a family’s house. History can be learned by simply walking down mail street and observing the architecture of a community’s commercial district. “Though history is all around us, eventually every researcher must discover where to find written records that describe the past. Every community—no matter how small—has rich resources awaiting those who take the time to uncover these treasures. Too often, researchers in local history examine only the guides to major archival and manuscript depositories. Failing to find what they want, they then abandon their quest, believing that further investigation would prove fruitless. We are loosing our warehouse space the end of July. So the boss said to offer the Oregon Burial Site Guide, Compiled by Dean Byrd, Stanley Clarke, & Janice M. Healy free. We will send a hard back copy to everyone for the cost of shipping and handling. Prepaid $20 post marked not later than 1 July 2015. Those of you with Nonprofit status please add your tax ID number. Any questions contact me. This book sold for $125 each. This book is about where the cemeteries of Oregon are located. Not lists of who is buried in them. Those are only listed for the small sites on private property with 12 or less burials. The book is 8.5″ X 11″ X 2″ 1,200 plus pages and weighs in at about 8 lbs in the shipping carton. Fully alphabetical by county and site, each county is indexed, Black and White photo’s for a general idea of what monuments are in each county, with a state wide index in the back. This is a must for those researching Oregon using death certificates. We tried to pick up all the also known as names to the sites. There are about 2500 burial sites in the 36 counties of Oregon. This material is updated and corrected, not like the material from the old ODOT book that has been put up on the web. So no this is not on the web.